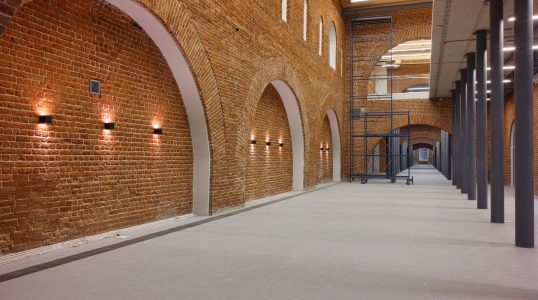 In 2011, Russia’s NCCA (National Centre for Contemporary Arts) began restoring its historical Arsenal building. The building, originally constructed in 1843, follows the trend of reimagining historic buildings as contemporary art centers. Since its award-winning restoration by architect Eugene Asse, the Arsenal has established itself as one of Russia’s primary centres for the promotion of contemporary arts and culture.